Golden West Exteriors is your source for Metro Metal Roofs from Edmonton to Leduc, Spruce Grove to Legal, and Fedora to Sherwood Park. 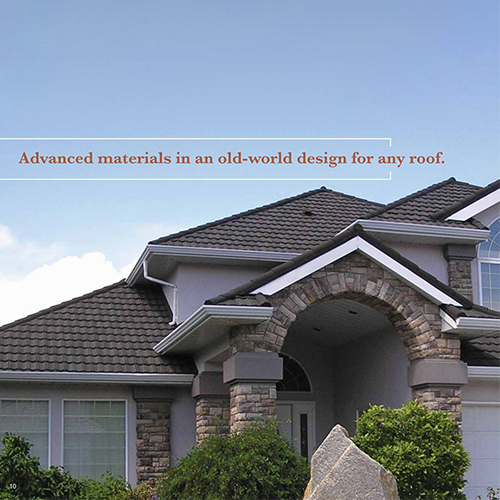 These unique, stone-coated steel shingles are unlike any other residential roofing material. They are ultra-resilient, come in styles to match any taste, and offer a variety of installation options. 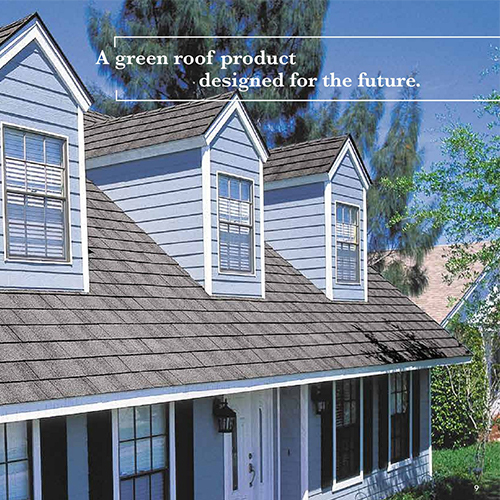 We’re proud to offer our customers the full line of Metro Roof metal roofing shingle products. Our teams have years of experience installing Metro roofs. That’s important. Be sure you’re working with experts who know the ins-and-outs of your roofing materials and has a relationship with the manufacturer. These low-profile shingles are attractive, and stand up to high winds, have a class-A fire rating and a 50 year material warranty. They are available in five colors to match any house color and style, including sage green, charcoal, walnut and weathered timber. 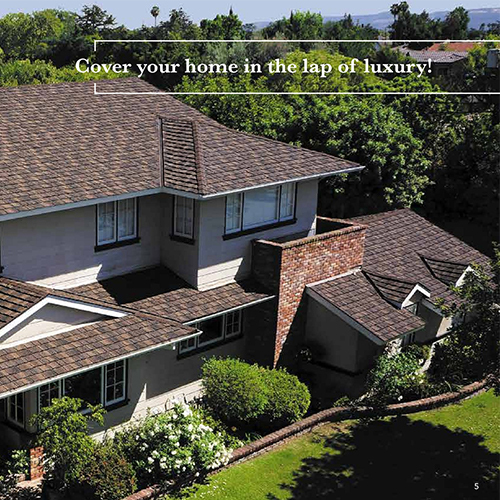 Each metal shingle is coated with high-quality granite stone chips that make them impervious to the elements, and because they repel moisture, algae and mold, they are virtually maintenance free. A stone coating that uses contrasting colors and Hi-Lo panel surface provides a classic cottage look. Their durability makes them a great choice over cedar or other woods. What you save in maintenance, repairs, and replacement down the road make the investment well worth it. Looking for a mediterranean look? You can now get it with durable, stone-coated steel. No more breaking tile and costly replacements. 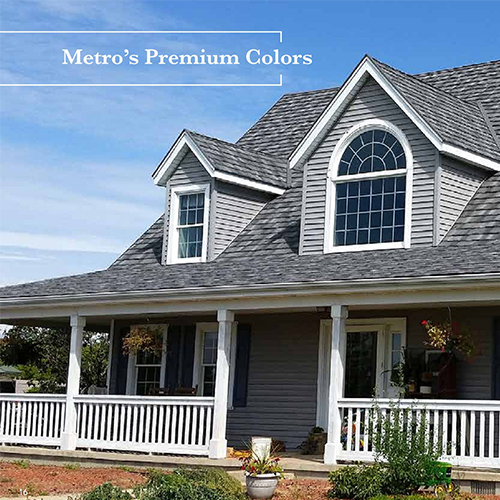 Choose from seven colors to perfectly match your home’s exterior. 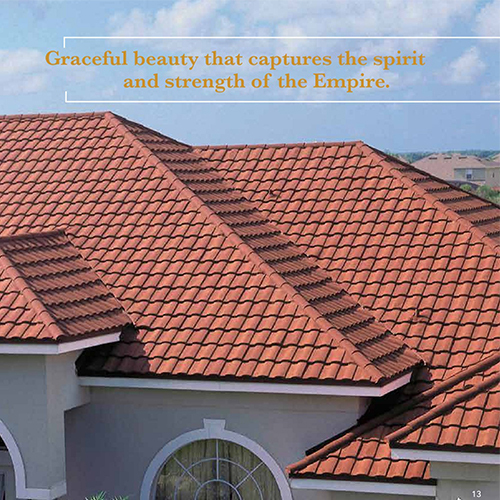 These graceful, sculpted shingles are strong, resilient and offer a low-profile tile look. They’ll withstand winds exceeding 120 MPH. You can’t say that about your tile roof. If you are considering tile, look at these first. There’s no cedar shake that can come close to matching the beauty, durability and strength of MetroShake. With an embedded UV resistant polymer, and Zincalume steel, they’ll hold up to anything mother nature can throw at them. Give us a call today for an in-home consultation and to learn more about our products and services. We look forward to hearing from you.